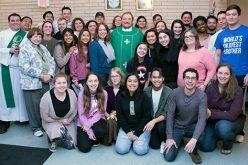 At Holy Angels Parish, Woodbury on Nov. 20, Bishop Dennis Sullivan blesses pilgrims about to depart for the National Catholic Youth Conference held in Indianapolis Nov. 21-23. INDIANAPOLIS – When Stevie Wonder wrote his hit single “Signed, Sealed, Delivered I’m Yours” in 1970, he likely never imagined the words would form the theme of a national Catholic gathering for youths. Signed – by the waters of baptism. Sealed – by the Holy Spirit. Delivered – from death into life. The rain that fell outside Lucas Oil Stadium in Indianapolis Nov. 21 proved appropriate, with the opening general session focusing on baptism. Among the wet but worshipful in the stadium were 63 pilgrims from the Diocese of Camden, including high school age youth, young adults and adult chaperones. 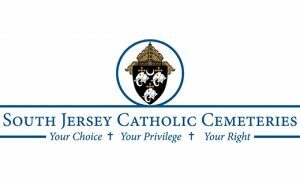 They represented Gloucester Catholic High School and six parishes of the diocese: Christ the Redeemer, Atco; Christ the Good Shepherd, Vineland; Holy Angels, Woodbury; St. Josephine Bakhita, Camden; Our Lady of Peace, Williamstown; and St. Gianna Beretta Molla, Northfield. 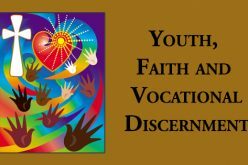 Two Camden representatives received a national scholarship from the Catholic Youth Foundation to participate. 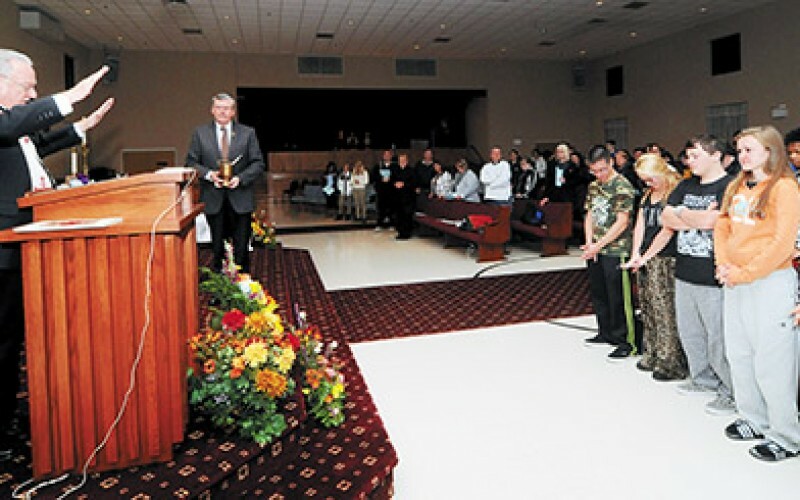 Before the group departed for Indianapolis by bus on Nov. 20, Bishop Dennis Sullivan blessed them at Holy Angels. 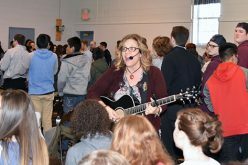 In the stadium on the first day of the conference, the teens swayed, clapped and even formed a conga line to inspiring songs by Grammy-award winning musician Israel Houghton, the energetic tunes of Grupo Huellas and the rap sounds of Righteous B. Overhead, Twitter tweets from participants flashed on the Jumbotron, statements of joy, excitement and anticipation from youths across the nation yet all under one roof in Indianapolis. 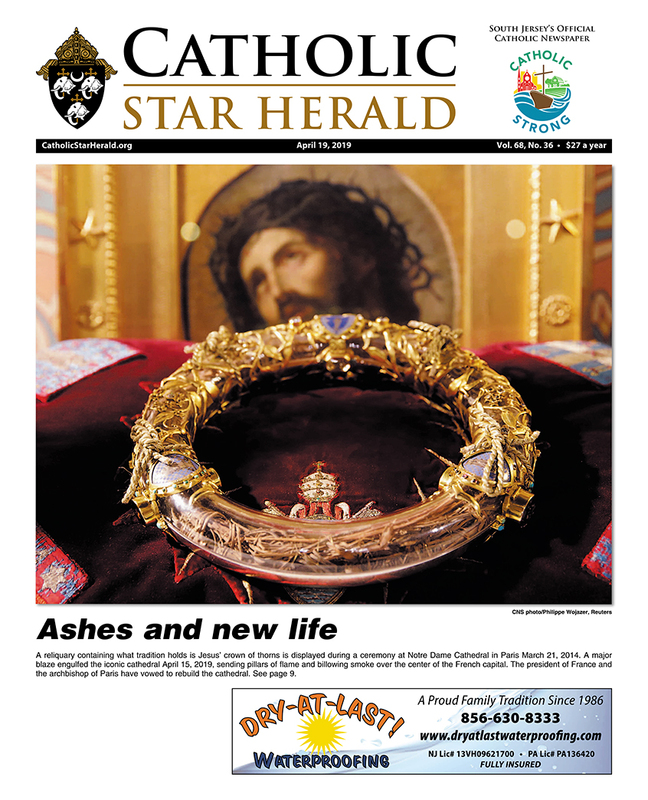 The opening general session began with Catholic catechist, singer, musician and Two by Two Ministries co-founder Jesse Manibusan taking the stage as emcee for the national conference. 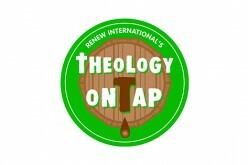 Theology on Tap: Why Do Bad Things Happen to Good People?